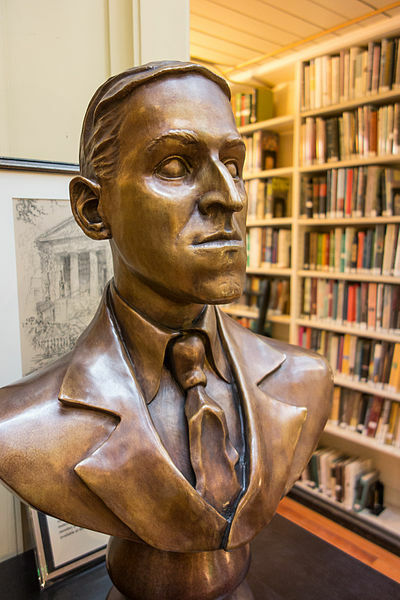 Between August 17 and 20, literary lovers and aficionados of gaming, the occult and monsters will travel to Providence from across the world — not because of our status as Creative Capital, but because we’re the birthplace of HP Lovecraft. More than 2,000 people attended the last NecronomiCon in 2015, and in its third year, the biennial event continues to expand its scope. Convention director Niels-Viggo Hobbs has long stated the convention is just as much about Providence — and celebrating Providence as a hub of “weird” — as it is about the misanthropic horror writer (who died, largely unknown, 80 years ago this March). While much of the four-day con is still dedicated to examining Lovecraft and his works, this year’s programming spreads its tentacles across the city, offering walking tours, film screenings, gallery exhibitions and music. 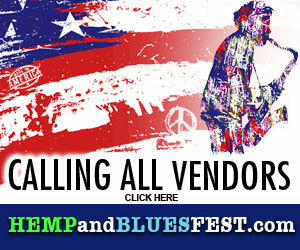 Some events have been revamped so they’re accessible to the general public. This includes the vendors’ room at the Omni, (dubbed the Grand Emporium of Weird), which anyone can attend, whether or not they’ve decided to heed the call of Cthulhu and purchase a four-day pass. While the convention is, as a whole, more user-friendly, this is still an event with a large portion of programming dedicated to tabletop gaming (see opposite page), and where attendees who pay extra receive ceremonial robes. There’s an entire academic panel dedicated to the parasitoid Cthulhu wasp and Antarctic biology. NecronomiCon may not be for everyone. But would it be truly weird — or worthy — if it was? Accordingly, there’s plenty of inside baseball for fans looking for deeper insight into the man who cast a shadow over Innsmouth. Panels like “Lovecraft Criticism: What’s Left?” tip a hat to the sheer amount of analysis given to Lovecraft’s work; other programming includes conversations on who HP Lovecraft’s friends were. But beyond the niche, this year’s convention covers broader, and more pop, topics. Live podcasting will occur on site all weekend. Shelley Jackson (author of The Lottery and The Haunting of Hill House) gets her own panel. Another piece of programming celebrates the pulpy and forgotten horror novels of the ’70s and ’80s. “Terror Trends and the Future of Weird Film” is one of several pieces of the con devoted to genre films. But, through and through, NecronomiCon is a literary convention — and that’s what makes it refreshing. There’s even a panel strictly devoted to horror editing, featuring horror author Peter Straub. Other craft conversations include the role of the small press in Weird Fiction and a poetry workshop. It’s a balance emphasizing the convention’s tagline: The International Festival of Weird Fiction, Art and Academia. Does anything better summarize the spirit and spectacle of NecronomiCon than the opportunity to eat breakfast pastry whilst being serenaded by a choir cloaked in black shrouds? Held Sunday morning in the Grand Ballroom of the Biltmore, the “unholiest of cosmically unspeakable breakfasts” features sermons by hierophants and a hymnal by the Golden Key Choir. Past songs have included titles like “Cthulhu Loves His Loyal Minions” — sung to the tune of “Jesus Loves the Little Children” — and we don’t see how this isn’t the absolute pinnacle of Weird Providence. Last year, Hobbs introduced a panel titled “Lovecraft & Racism” by calling the discussion “potentially the most important panel” of the convention and “the important panel for the future of weird fiction.” We expect this year’s panel to be just as significant as it addresses, head-on, Lovecraft’s problematic history with race and diversity. Part of the Armitage Symposium, the discussion will feature four 15- to 20-minute-long theses from presenters, including topics like racism, Orientalism, queerness and perspectives of Lovecraft on the internet. Big kudos to the convention for continuing to make these conversations parts of their programming. A great example of the convention’s reach into worlds beyond the written word, Ars Necronomica: Wonders of the Weird World is a gallery exhibit set to feature more than 140 works from more than 70 contemporary artists. Held at the Woods-Gerry Gallery at RISD (62 Prospect Street), the show will run from August 16 – 31. All art is for sale, so get there early and check out the opening reception on Thursday, August 17, from 6 – 8pm. Expect paintings, prints, illustrations and sculptures covering everything from the cosmos to what lies below. Joshua Gravel of Arkham Film Society will once again roll out his 16mm print of the 1970 film The Dunwich Horror for a screening at the Columbus Theatre. The event may not be a first for NecronomiCon, but the live elements planned for the evening make it an experience you can’t get streaming. If there was ever a reason to leave Netflix and your couch and see a movie IRL, it’s Sunday, August 20. A live group of musicians, brought together for the night, augment the film score with a blend of psyche and noise rock. The Facebook event promises the action will “spill out from the screen” for an “unique Lovecraftian experience.” Big Nazo will be there, which seems fitting, and guests are encouraged to dress as cultists. (Interpret as you will.) Oh … it’s also Lovecraft’s birthday. For more information on NecronomiCon Convention events and events open to the general public, visit necronomicon-providence.com.